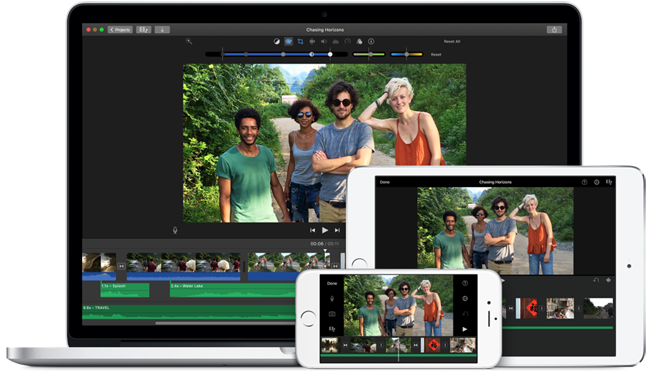 iMovie is a video editing software application sold by Apple Inc. for the Mac and iOS (iPhone, iPad, iPad Mini and iPod Touch), and it imports video footage to the Mac using either the FireWire interface on most MiniDV format digital video cameras or the computer's USB port. It can also import video and photo files from a hard drive. From there, the user can edit the photos and video clips and add titles, themes, music, and effects, including basic color correction and video enhancement tools and transitions such as fades and slides. Here we talk that how to add Apple Music songs to your video so as to make a unique video by yourself. 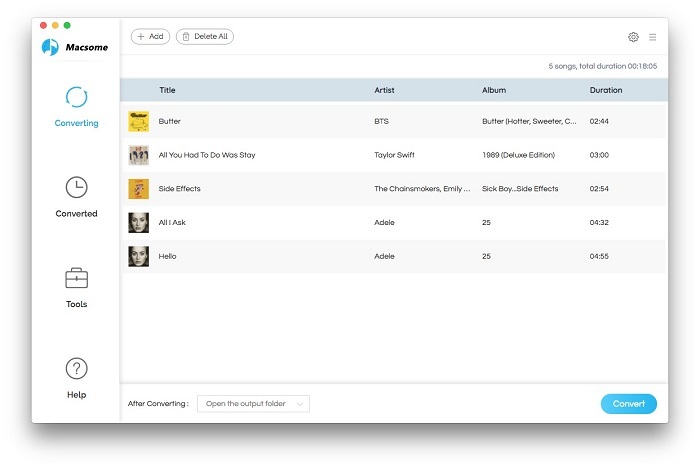 All the Apple Music songs are protected with DRM, even you have downloaded them on your computer, but you can copy them or transfer them to other projects like iMovie, Apple TV and so on. 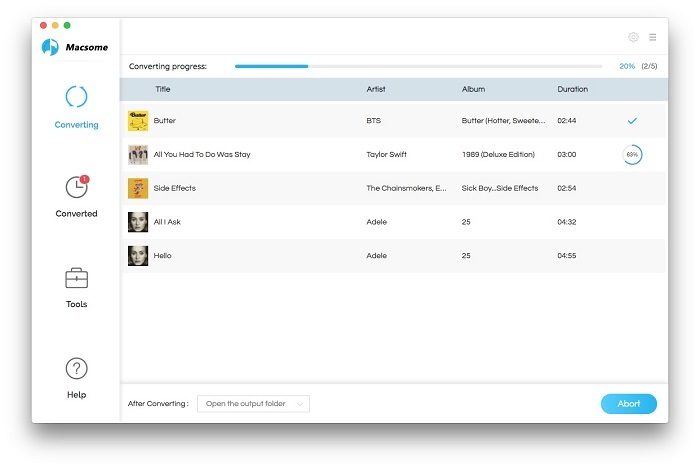 Here we recommend Macsome iTunes Music Converter, which helps users remove DRM protection from any iTunes music to DRM-free format like MP3, AAC, FLAC and WAV format with super fast conversion speed and lossless output quality. 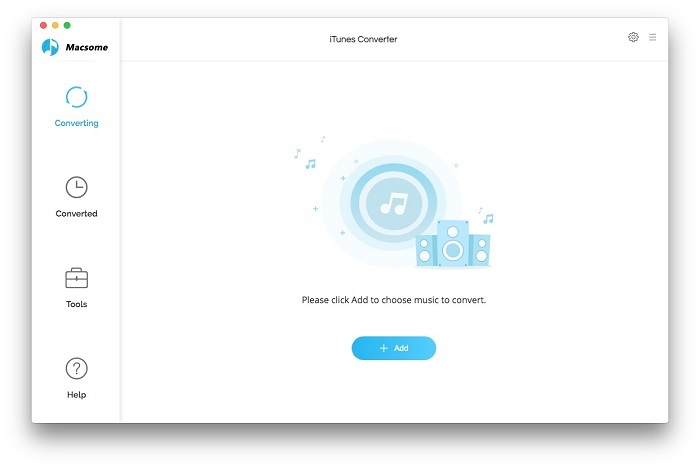 First of all, free download the latest version of iTunes Converter for Mac OS X, install and run it. Now the output formats have 4 choices, you can just to choose a suitable one and set the other parameters according to your need. Now, click history to find the converted iTunes Music files under the destination folder on your Mac computer. 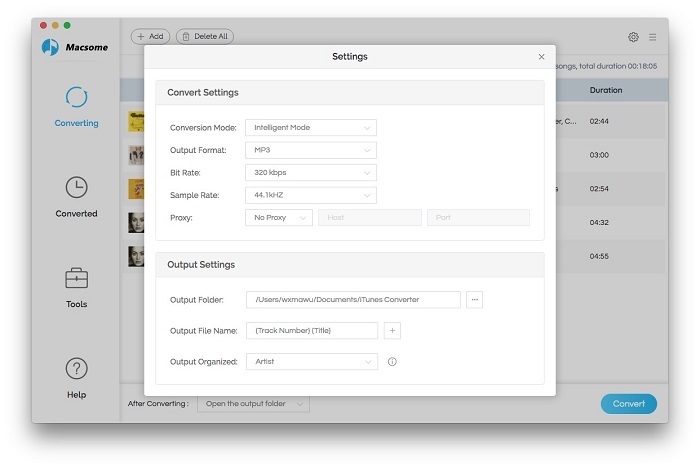 Then you can easily add the music to iMovie project like other common audio files.